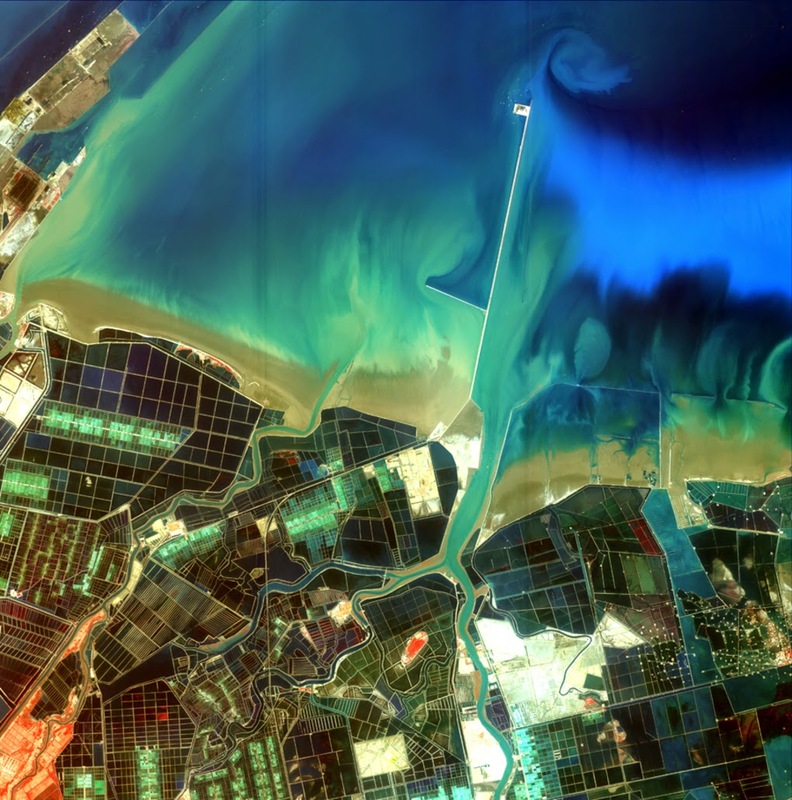 China has released a set of ten impressive false color images of the country's landscape taken from its high-resolution Gaofen-1 satellite which was launched on April 26, 2013, by the Long March-2D (Y18) from the Jiuquan Satellite Launch Center.. 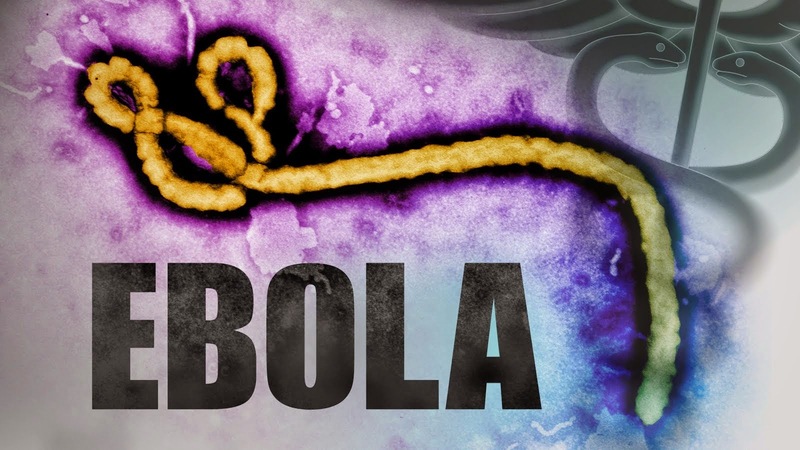 The satellite is part of the China High-resolution Earth Observation System (CHEOS) program that will "substantially strengthen the nation's capabilities in disaster relief, surveying and environmental protection," according to SASTIND, which supervises the program. Gaofen-1, is the first of several that China plans to put up into space. The second satellite in the CHEOS series - Gaofen-2 - was August 19, 2014 from the Taiyuan Satellite Launch Center in the northern province of Shanxi. It is the country's most powerful imaging satellite so far, with a spatial resolution of 1 meter. 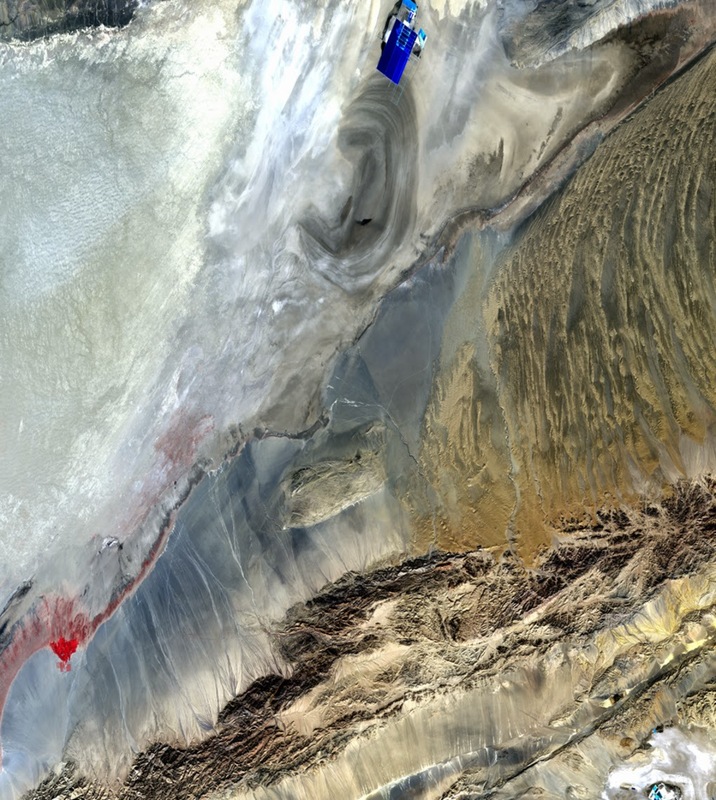 The images show vegetation as bright red, clear bodies of water appear as dark blue, soil appear as grey. Some of the features in images have been described to as "jellyfish", "rings" and "muscles" by the State Administration of Science, Technology and Industry for National Defense (SASTIND), which released the photos. 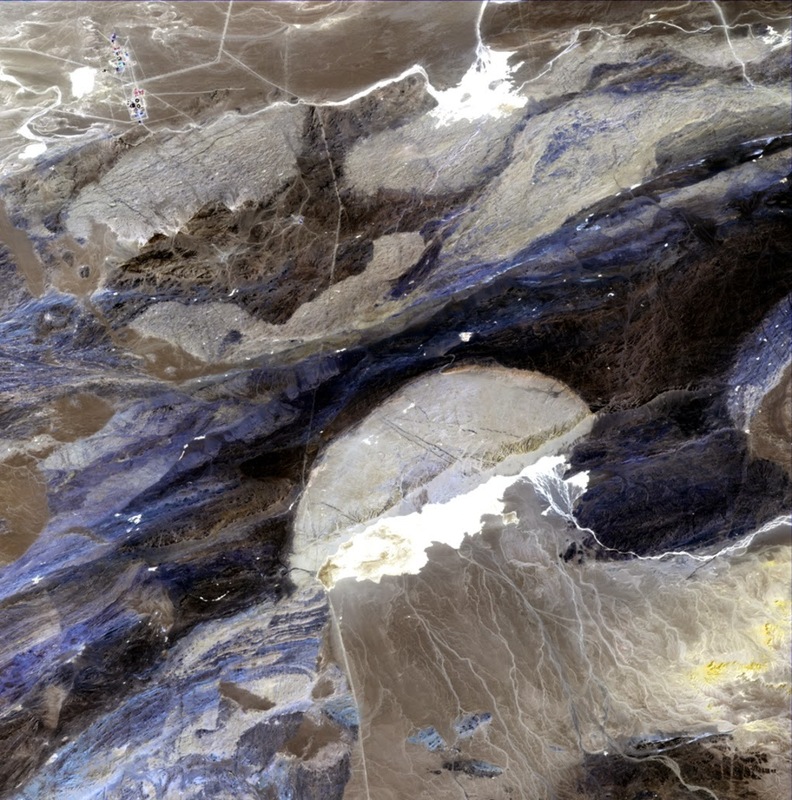 Below, take a look at the 10 remarkable images that the China National Space Administration published earlier in August 2014. 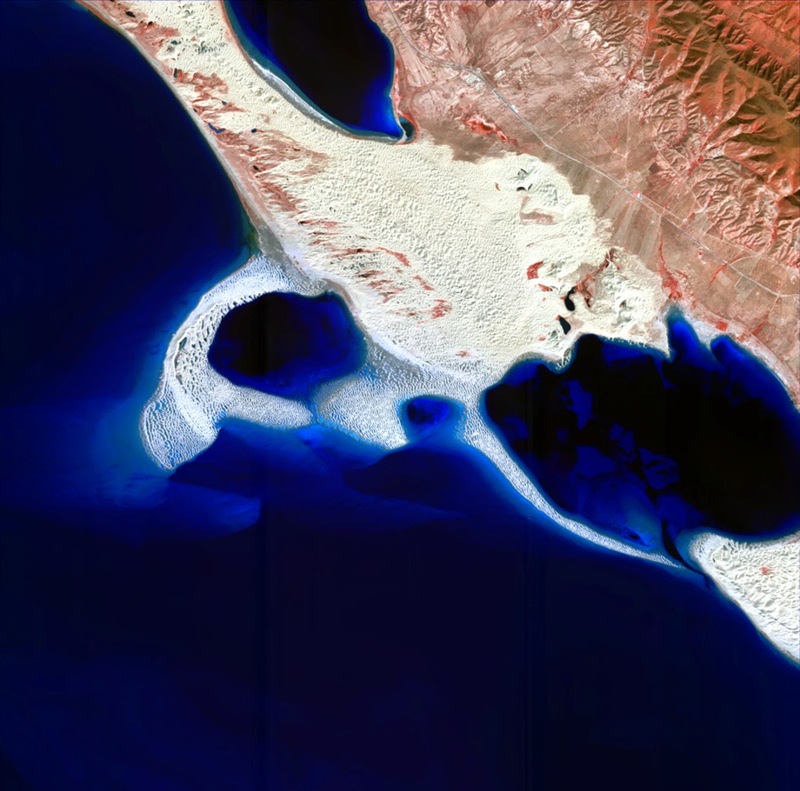 They're in false color, so they simultaneously look both unusual and incredible, but as you might expect, vegetation will show up as red, clear bodies of water will show up as blue, and dirt will show up as shades of gray. 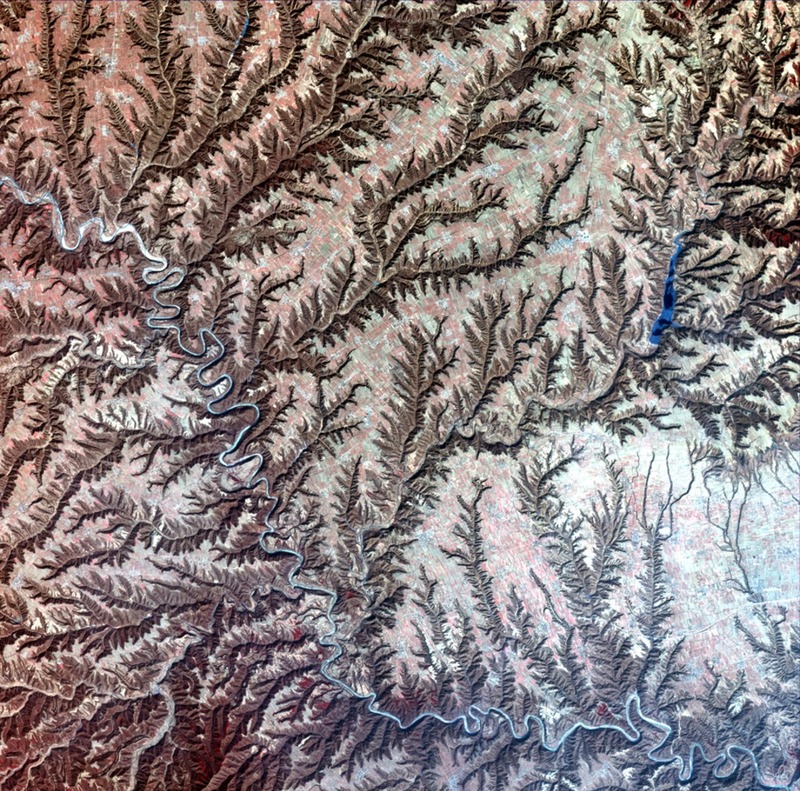 Dried river valleys cut between mountains. The red and brown tones represent different types of vegetation. Mountains and a small body of water sit at the bottom of the desert depicted throughout the top of this image. There's a lot going on in this image of mountains near Changzhi. The pink on the left is farming. Snow is visible in the white region on the right. 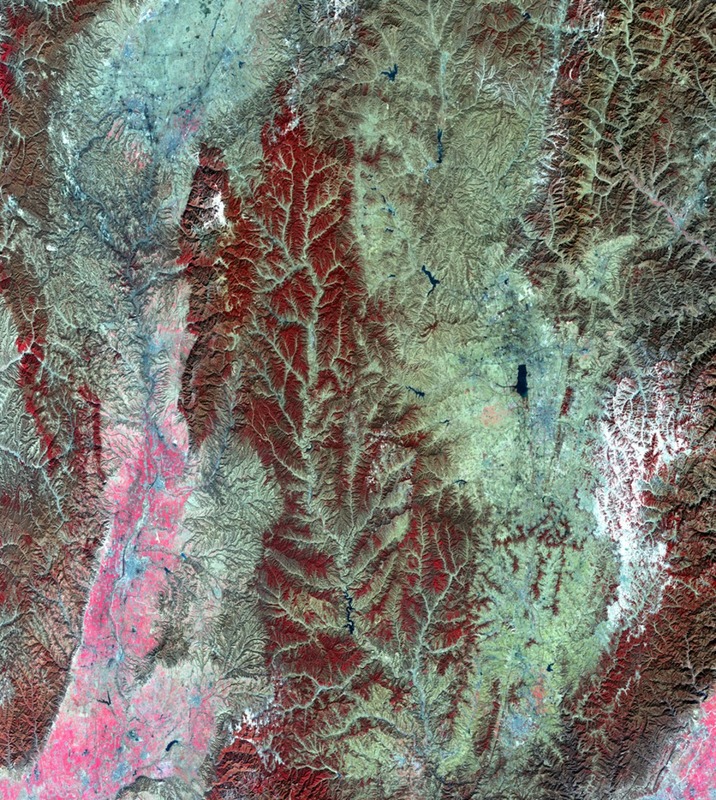 And vegetation, depicted in red, can be seen covering the mountains. Farms along the beach of an estuary. Sand on the edge of Qinghai Lake. A desert in western China. 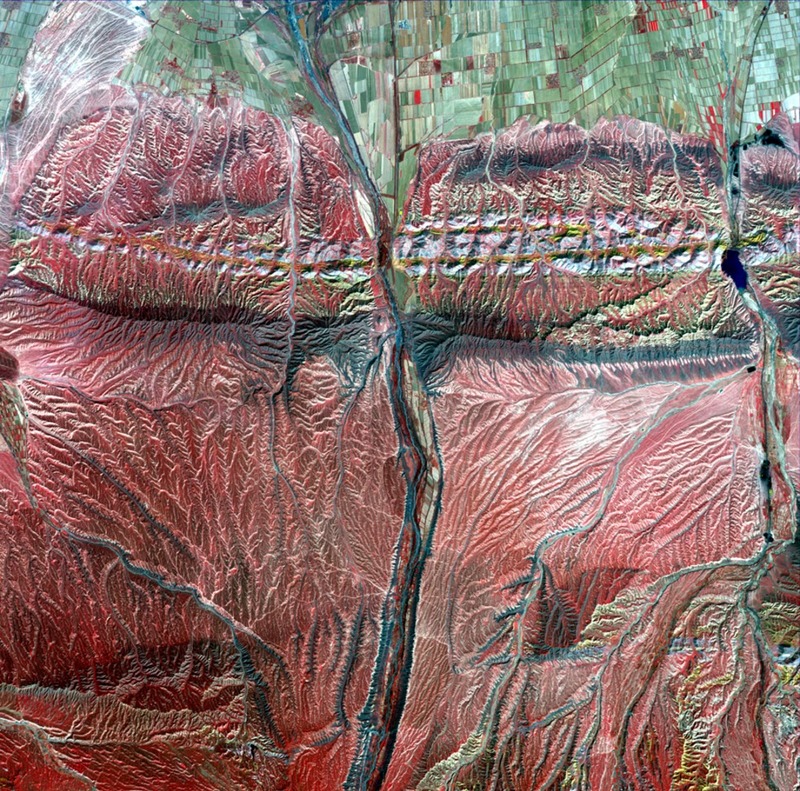 The blue and red patches are man-made reservoirs. 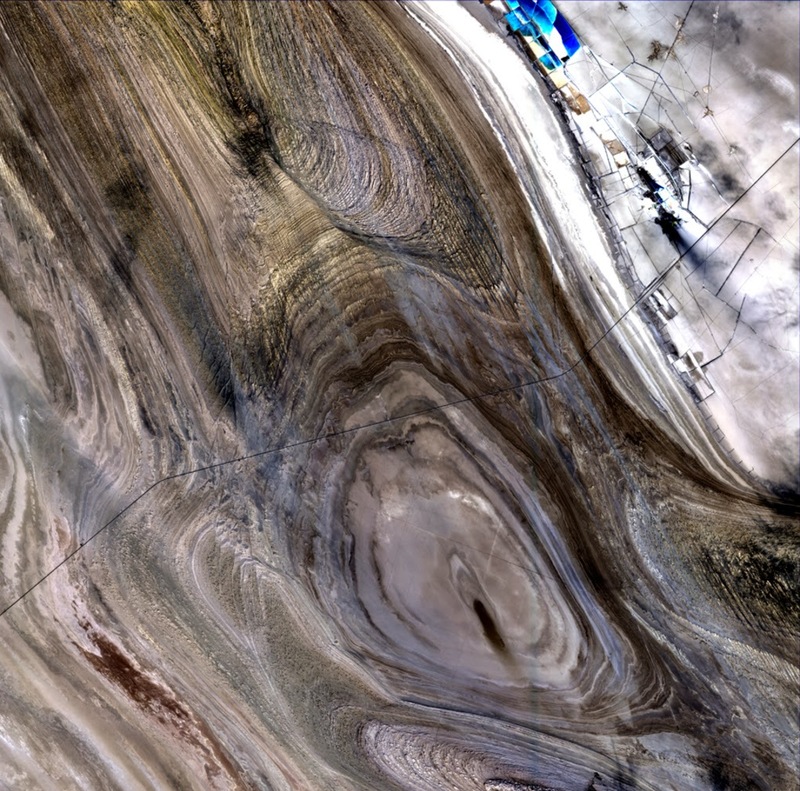 The ear shape is a dried up lake that's been eroded by wind. More dry lakes. A road can be seen zagging from left to right across the image. 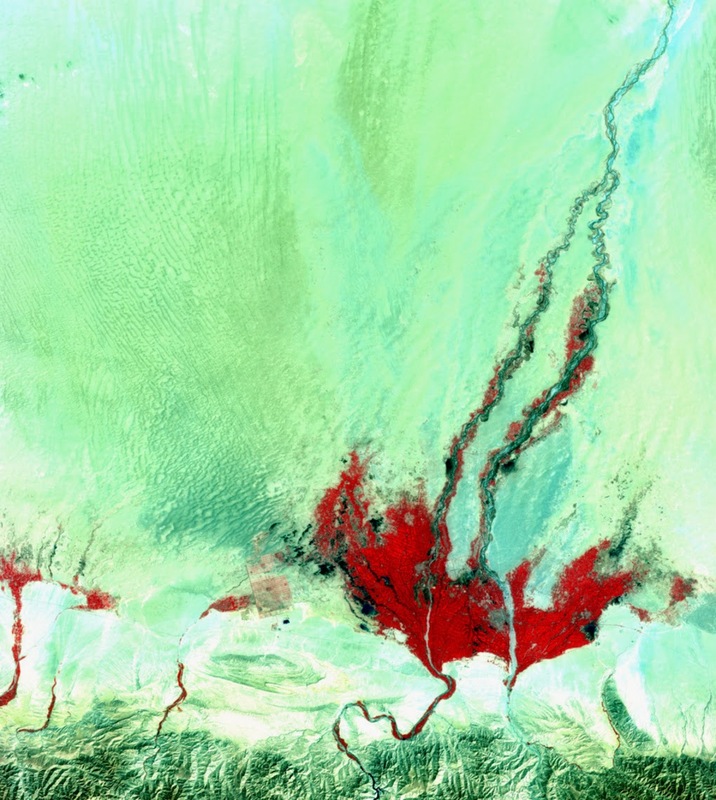 An alluvial fan takes a jellyfish shape in the Gobi Desert. 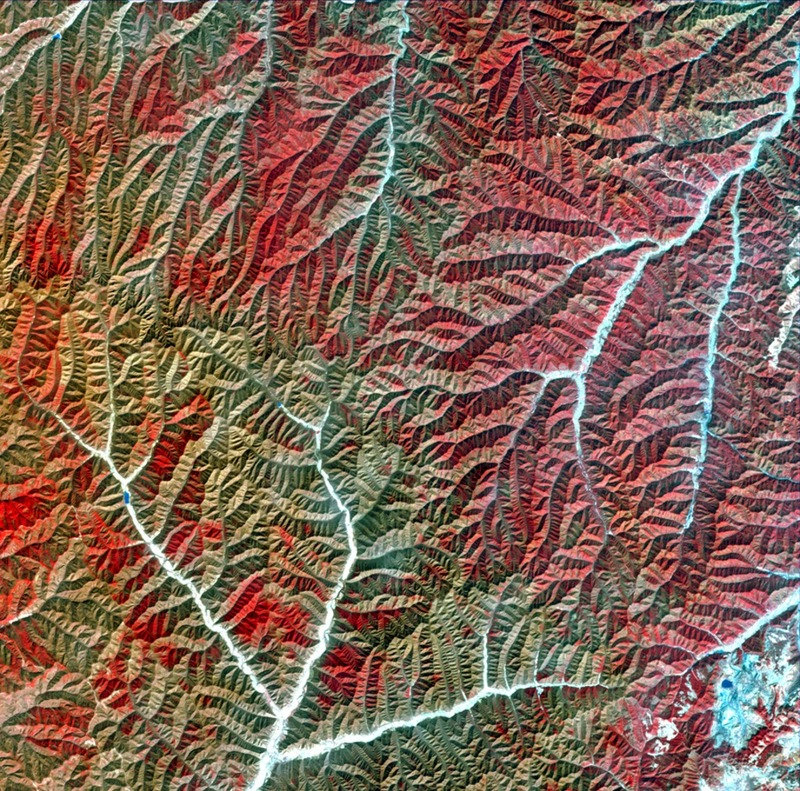 The crop fields at the top of this image haven't turned green yet (despite their false color). What's beneath them - a stretch of mountains that have been carved by water - are, however, covered in green. The ground on this plateau has been cut apart by erosion. One long stream uses that valley to cut across the land.